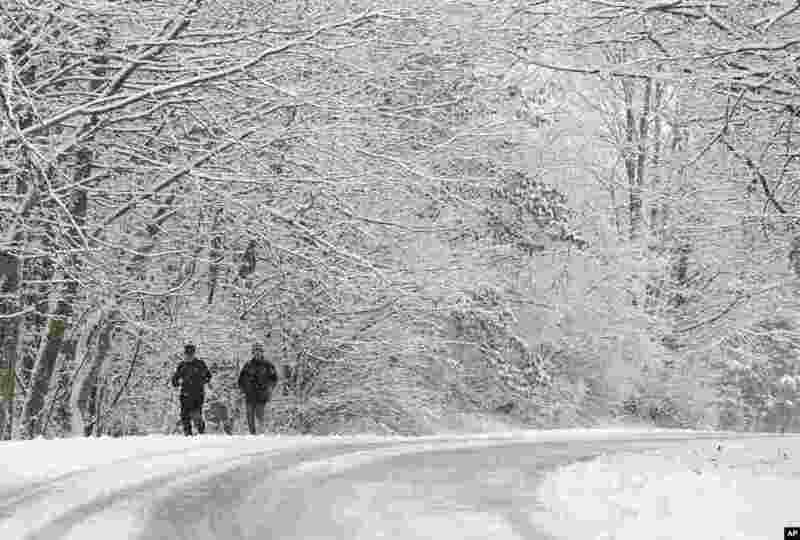 1 Ken Perry and Stan Ly go for a run in Eagle Creek Park as snow falls in Indianapolis, Indiana, USA. 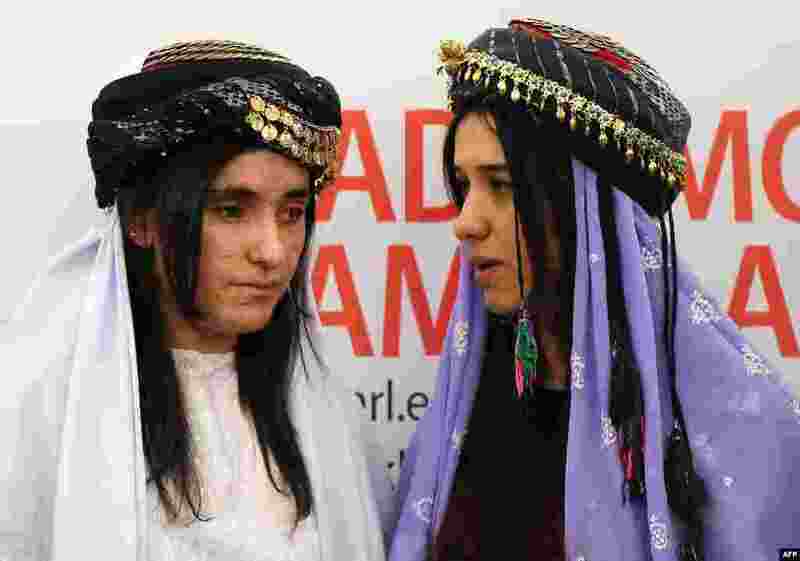 2 Nadia Murad (R) and Lamia Haji Bashar, public advocates for the Yazidi community in Iraq and survivors of sexual enslavement by the Islamic State jihadists react after being awarded laureates of the 2016 Sakharov human rights prize, at the European parliament in Strasbourg, France. 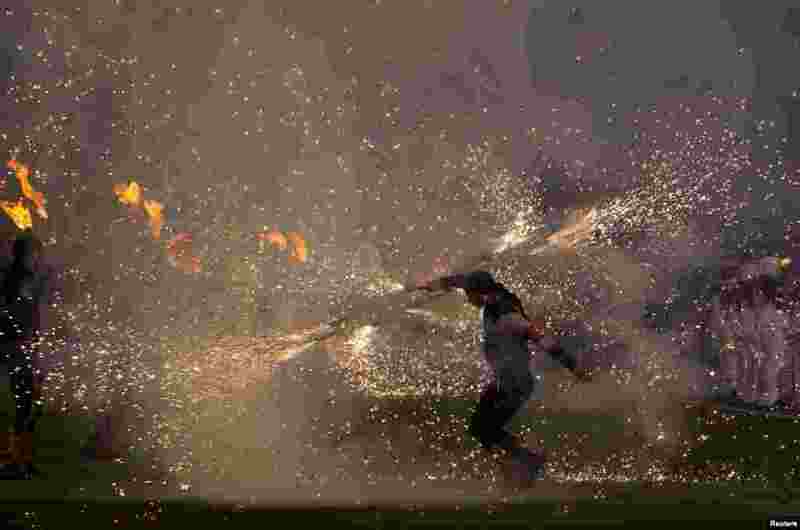 3 Performers participate before a international friendly soccer match between Spain's football club Barcelona and Saudia's Al-Ahli in Doha, Qatar. 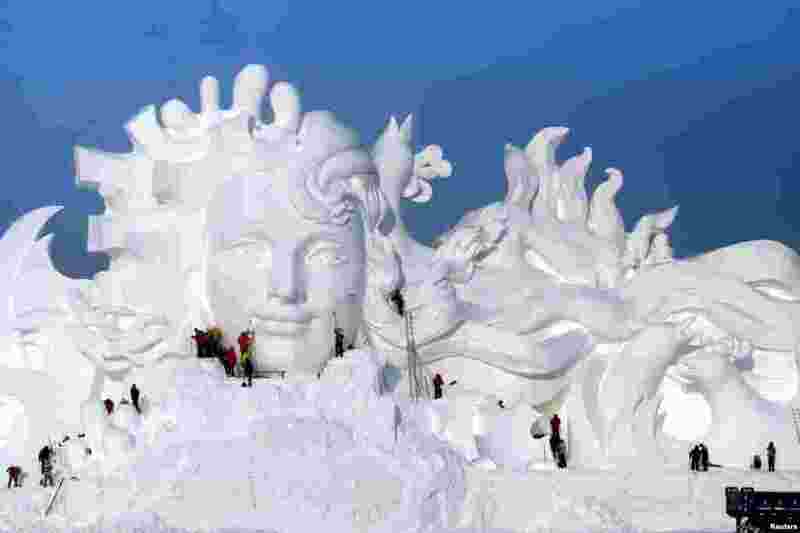 4 Artists work on snow sculptures at an exhibition in Harbin, Heilongjiang province, China.